Useful for your weathering and erosion, soil formation, porosity and permeability, or other general earth science labs. 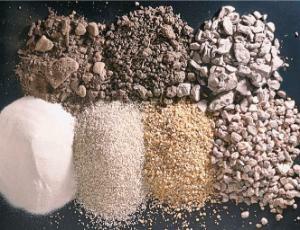 Topsoil, clay, silt, fine and coarse sand, gravel, and pebbles. Each sample is carefully selected for its uniform size and quality and comes in 32 oz. containers. Order the economical set or order each sample individually.